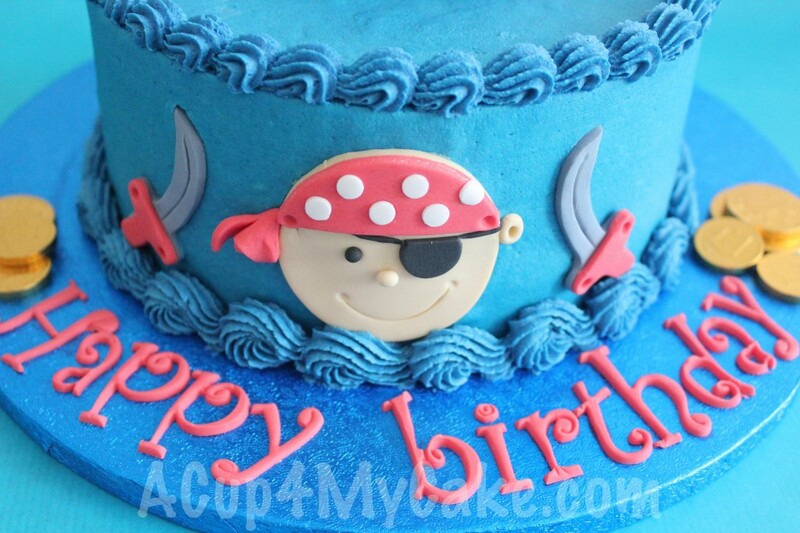 I really loved making this pirate cake for Meg!! Doesn’t it look summery and refreshing? lol. 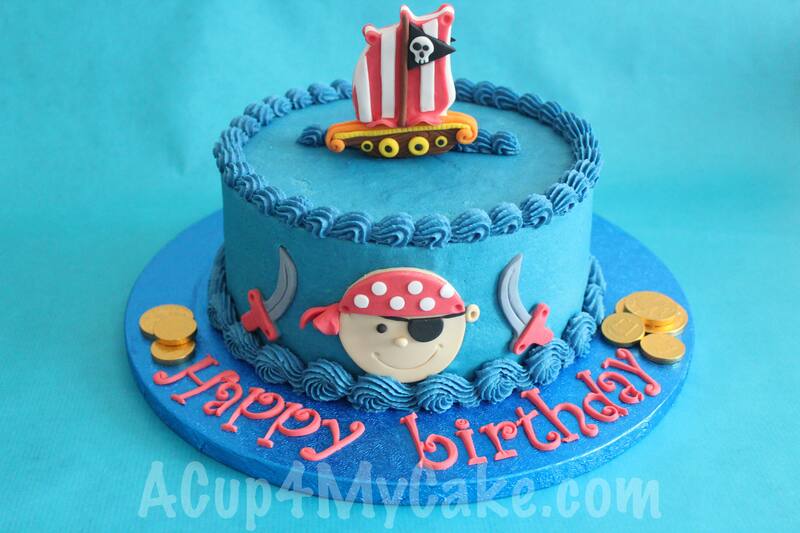 A ship is sailing on the quiet and blue sea, whilst a pirate is smiling between two swords. The treasure is close!! I think this design would be a great choice for a kids’ party. 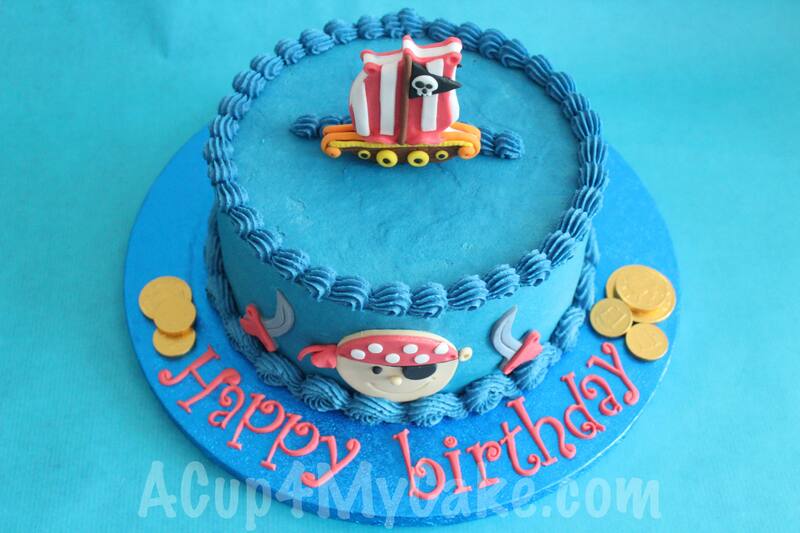 This cake was iced and piped with royal blue buttercream and the pirate decorations were made out of sugarpaste. The coins on the sides are chocolate ones! Have a nice and summery weekend! 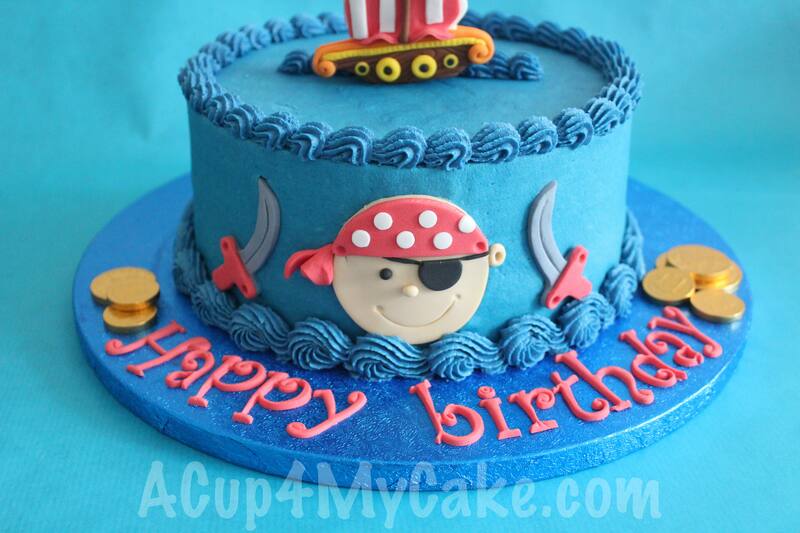 This entry was posted in Buttercream, Cakes, Sugarpaste. Just love the cakes – I have been asked to make monster truck cupcake toppers, which I tried making with plain fondant and also made a marshmallow fondant. I cannot seem to get them to set hard enough so when I pick them up they start to droop and break. Do you have any tips on how I can make these firmer so they stay hard but are also edible. I have read you can’t eat gum paste so don’t want to add something to the toppers that is going to make them inedible. They are for a 4 year old birthday party, so they need to be edible. Your advice would be greatly appreciated. 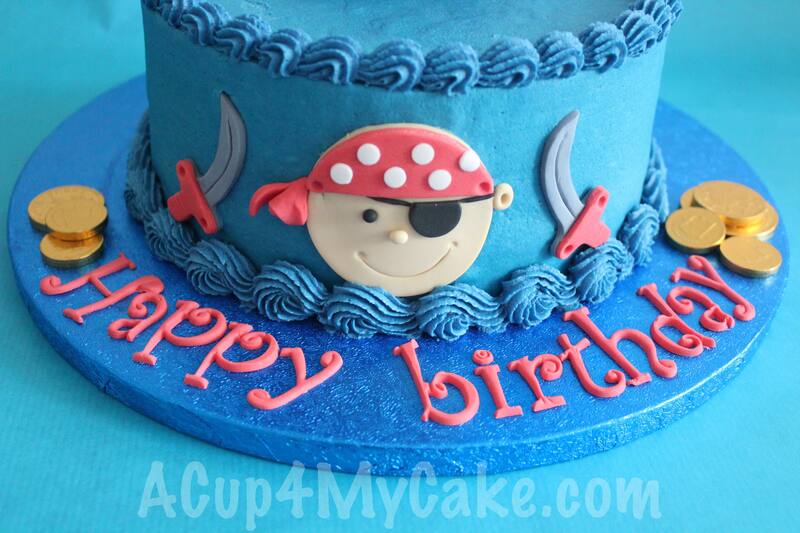 Gum paste is completely edible Anyway you can use a combination of 50% fondant + 50% gum paste. Why don’t you try that?